Beforehand, we must admit: the 3 editors of this blog are big fans of Professor Pat Croskerry. That’s why we were so happy when we were able to contact him, and when he agreed to give us this exclusive interview! He is a Canadian medical teacher and emergency physician who studies cognitive errors and clinical reasoning in order to understand why medical doctors (even the excellent ones!) make mistakes. Dr. Croskerry graduated first as an experimental psychologist, before moving on to medical school. His work helped us to understand that the way our mind works can be related to why we make errors. He was one of the pioneers in the study of an important source of diagnostic errors that was ignored by medical community: cognitive biases. In the last 20 years, Pat Croskerry published more than 80 papers and 30 book chapters. He also gave more than 500 lectures on cognitive and affective biases, diagnostic errors and patient safety. It was his work that inspired us to read and learn more about diagnostic reasoning. In great part, it was Pat Croskerry who motivated us to create this blog. RACIOCÍNIO CLÍNICO: Dr. Croskerry: we already know that diagnostic reasoning is a teachable skill. In your opinion, when and how should we teach diagnostic reasoning for undergraduate medical students? How is it done in your medical school? PAT CROSKERRY: Ideally, the principles of reasoning, logic, and critical thinking should be taught before medical school, then there would be a good foundation on which to develop clinical reasoning and decision making once the student acquiring medical knowledge. Otherwise, explicit instruction in clinical decision making should be rgarded as the most important of a clinician’s skills, and should be implemented early in the first year. Here at Dalhousie, we do regard decision making as the most important of the clinical skills and give introductory, foundational lectures in the first month of the first year. As this is a longitudinal program, it continues throughout the fourth year of medical training. RACIOCÍNIO CLÍNICO: How do you see an international cooperation with your institution in terms of a clinical reasoning learning programme for foreign medical students and residents? PAT CROSKERRY: International cooperation and exchanges are important in any area of learning. Because we have a longitudinal program, we can’t offer an undergraduate course that international students could attend. The best way would be for a foreign student to contact a faculty member and arrange to do elective time with them. However, we do have an on-line program called TACT (Teaching and Assessing Critical Thinking) which can be done from anywhere in the world. It contains the basic material that students are exposed to, and requires about 1-2 hours/week for 12 weeks. We usually have a couple of cohorts of 20-25 participants each year. RACIOCÍNIO CLÍNICO: The Dual Process Theory (DPT) is well known by educators, but not by the general medical community. (CLICK HERE to read more about DPT.) At least here in Brazil, we have the feeling that we need to introduce DPT at all levels, from the junior medical student to the working physician with years of experience who seeks Continuing Medical Education. When and how did you become aware of the thinking processes that medical doctors develop in search for diagnosis? 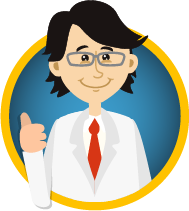 Do you think that learning how doctors think will help medical doctors in their actual practice? PAT CROSKERRY: There are different ways of approaching teaching about decision making, but it appears that DPT is the dominant model and there is a lot of converging evidence in the literature to support it. Its influence is spreading rapidly throughout medicine. It provides a useful scaffold on which to teach clinical decision making. We teach DPT from the beginning of medical school, and also to residents and our faculty in the TACT course. A fundamental belief is that learning about how you think will make you a better thinker in medicine. RACIOCÍNIO CLÍNICO: We have read a lot of your work on cognitive biases and cognitive debiasing, and it was a real eye-opener for us. Based on your vast amount of experience on that issue, what are the most helpful strategies for cognitive debiasing and prevention of errors in diagnostic reasoning? PAT CROSKERRY: This is a big topic and one of the most important for us to deal with. The most critical step in the decision making process is for the decision maker to be able to detach themselves from System 1 (unconscious processes) so that System 2 (conscious, deliberate processes) can see what System 1 is doing. This detachment process is referred to as metacogniton (thinking about thinking) and may be done through reflection and mindfulness. I deal with some of the detail that is involved in some of my book chapters. RACIOCÍNIO CLÍNICO: What are the pitfalls and remedies againsts ‘curbside’ or ‘corridor’ consultations? How would you advise doctors who treat other doctors on taking action? PAT CROSKERRY: It is important to appreciate that curbside or corridor consultations are dangerous and should be avoided unless emergency treatment is needed. The doctor involved is pressured into making fast decisions (typically in System 1) outside of their usual approach to clinical assessment. They should, instead, advise their colleague to seek appropriate assessment through the usual channels, explaining that this is in the best interests of the patient. RACIOCÍNIO CLÍNICO: In which direction should knowledge and research on diagnostic reasoning advance? PAT CROSKERRY: It would be for the best if some of the discordance in this area was settled. Some isolated groups still believe that the diagnostic process is not vulnerable to cognitive and affective biases. It has now been fairly convincingly demonstatred across the spectrum of human behaviour, that no-one is immune to the influence of bias, and doctors are no different. RACIOCÍNIO CLÍNICO: What is your advice for young medical doctors and students who want to improve their diagnostic skills to become good diagnosticians? PAT CROSKERRY: Medicine has to accept that, historically, the theory of decision making has not been seen as particularly relevant to what doctors do, or at least is not deserving of any explicit training. Most of the expertise has come from the field of cognitive science. Some have advocated for basic psychology courses to be part of the requirement for medical school admission or that cognitive science should be part of medical undergraduate training. Either way, we need to understand that simply teaching medical knowledge is insufficient for a competent diagnostician, we also need to teach people how to think. It is an encouraging sign that cognitive psychologists are now choosing medicine as a field worthy of study. It should by now be clear that clinical decision making is likely the most important of a clinician’s skills, and needs to be explicitly taught if doctors are going to have insight into their thinking, and if they are going to achieve the level of rationality necessary to make well-calibrated decisions. 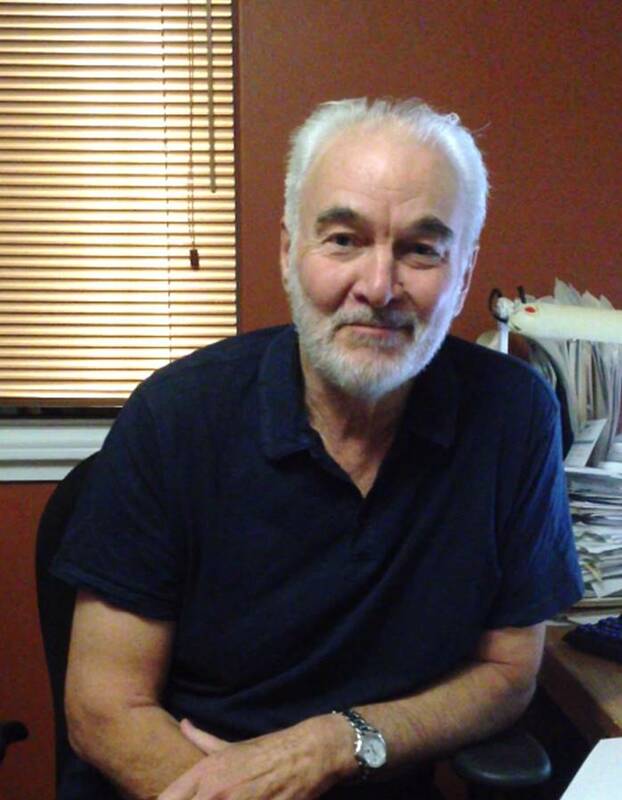 Pat Croskerry got his PhD on Experimental Psychology by McMaster University (Ontario, Canada) in 1975. In 1982, he obtained medical degree by the same school. Then, he beginned to work as an emergency physician in Halifax and Dartmouth (Nova Scotia, Canada) and soon became head of emergency of the Dartmouth General Hospital (from 1990 to 1999). It was in that position that he got surprised by the cases of diagnostic error that appeared on his desk. One reason of that surprise was the number of diagnostic errors. Croskerry did not have a clue that so many cases of diagnostic error happened in his hospital. In fact, we doctors don’t have the habit of openly discuss errors, so we have this (false) impression that very few errors happen. Another reason for his surprise was the lack of a good explanation for many errors. Reviewing the cases, Croskerry noticed that some errors have been made by physicians who were regarded as excellent professionals by their own peers – people with a solid educational background and with the best of intentions. Thus, the problem was not incompetence or lack of will to help the patients. That was when Pat Croskerry committed himself to understand why even good medical doctors make mistakes, using his background on cognitive psychology. He is also a medical teacher on Dalhousie University School of Medicine (since 1998). In that institution, he has been developing activities with undergraduate medical students, medical residents and with faculty members, focused on medical decision making, diagnostic errors, critical thinking, and cognitive and affective biases. In 2001, Dr. Croskerry created the first course on Diagnostic Errors for undergraduate medical students in Canada. He is a participant of Canadian Patient Safety Institute since 2006, and also one of the main collaborators in the annual Diagnostic Errors in Medicine conference since the first edition, in 2008. 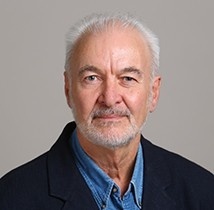 His vast amount of experience in both emergency medicine and cognitive psychology, along with his long list of publications on the field, are enough to make Pat Croskerry one of the main world experts on diagnostic reasoning, diagnostic errors, and patient safety. We are very thankful to Dr. Pat Croskerry for answering our questions! Keep following our blog for more exciting news!